Insanity week 7 is done and over. I am sorry to say that after a great first month and a strong start to the second, it all fell apart this week. In factÂ it was so bad that I debated even posting this at all. But in the end, this blog is here to help keep me accountable to my goals and it can hardly do that if I only post my wins. With that in mind, let’s talk a little bit about what I did wrong… As I mentioned at the end of last week, I had not been feeling the greatest for a while. And because I’m such a smart guy, I ended my week of sickness in the worst way possible – with loads of tequila. What I neglected to mention was that in my hungover stupor on Sunday, I stumbled into a table and beat my knee to hell. At the time I just shook it off and tried not to think about it. But in this case mind did not prevail over matter and I ended up having a hard enough time walking for a few days, much less jumping around with Shaun T. and crew. Since I am so off my game this week, I won’t bother going into detail on any of these workouts. Instead, I will just refer you to my week 6 update which was made up of all the same workouts in a slightly different order. In place of the workout descriptions, let’s take a look at my Insanity week 7Â results in both the fit test and body measurements. Like I said, solid improvement across the board! Despite my immense failure this week, I am still moving in the right direction overall which is great. The same can be said for my body measurements, though there haven’t been any hugeÂ changes in the past two weeks since I last measured myself. 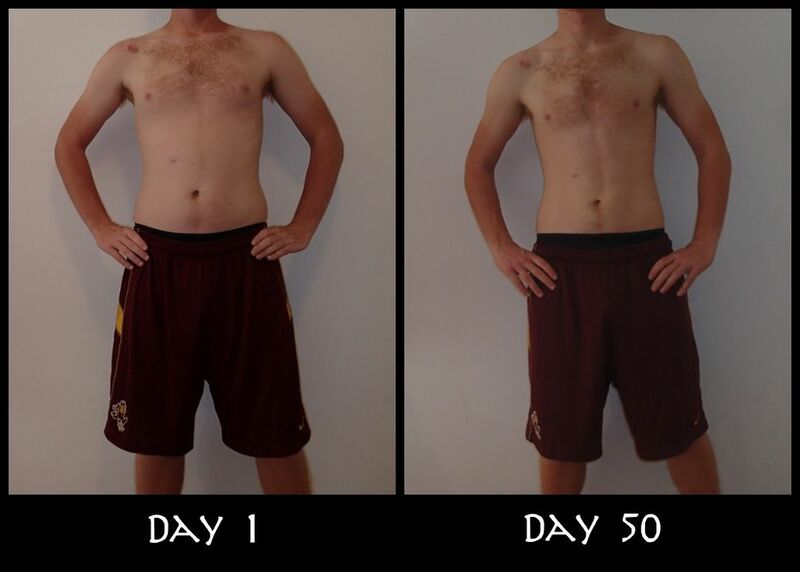 Even so, I am seeing some pretty solid overall results from day one which I will share below. I still suspect that I am not doing the best jobÂ ofÂ taking these measurements consistently, but I like having them as a point of reference. Next time I do this I will have to make sure to find someone else to take the measurements for me. I like seeing such consistent improvement. But like I said, I need to get someone else to take the measurements next time to make sure they are being taken more consistently. Also, I keep regretting not trackingÂ my body fat percentage. Without it the only measurement that I feel certain of here is my weight. BMI is a pretty useless measure that doesn’t account for body composition. Resting heart rate can be easily affected by so many factors. And the rest of the measurements can easily be off by fractions of inches due to the way they are being taken. Even so, there is a positive trend here so I will take it. 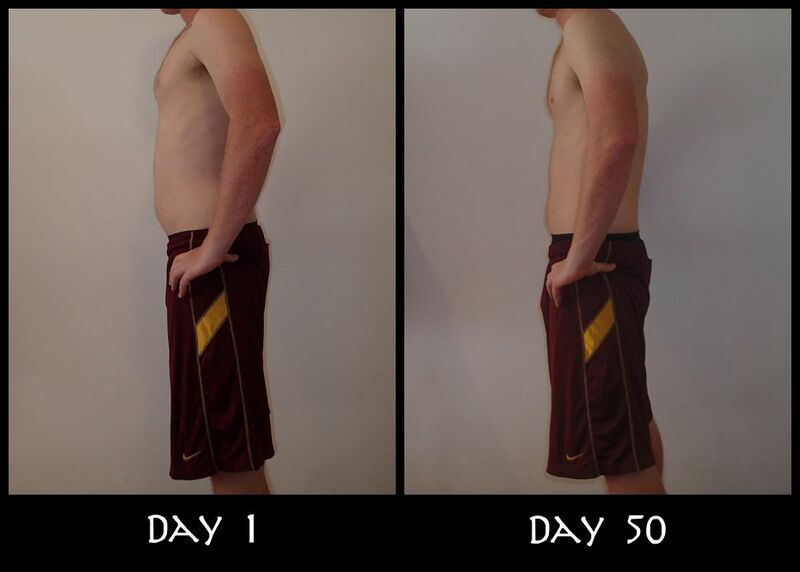 And lastly, here are my Insanity week 7 progress pictures. The change is subtle but definitely there. 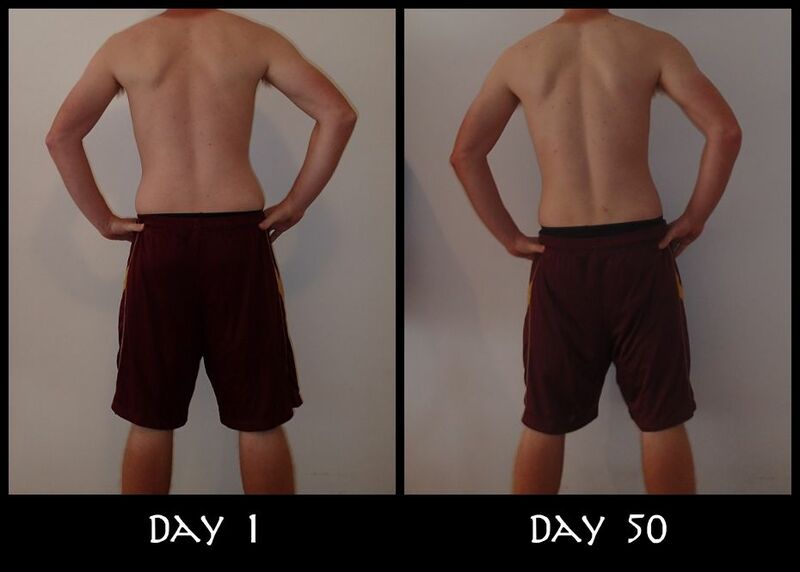 Make sure to keep an eye on my before and after page for up-to-date results. I guess my Insanity week 7 write-up Â turned out to be pretty long after all… The important thing is that despite basically taking the week off, I am still progressing nicely overall. Now to make sure that next week goes better than this one did.